The municipal plenary of Santiago de Compostela urges the Government of Spain to ratify the United Nations Treaty on the Prohibition of Nuclear Weapons. As was previously the case with cluster bombs and landmines, the process to ban nuclear weapons has begun. The Treaty on the Prohibition of Nuclear Weapons – TPNW, approved by the United Nations, must be ratified by fifty states to enter into force. Spain, at the moment, looks the other way. 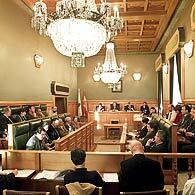 The municipal plenary of Santiago de Compostela urges the Spanish Government to ratify the treaty. 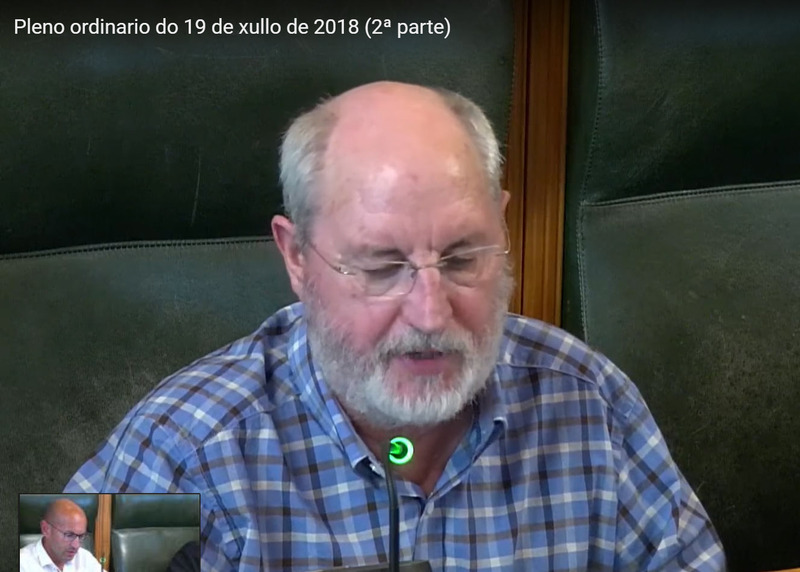 Last Thursday, July 19, Manuel Dios, Councilor for Culture for Compostela Aberta, presented a motion to the municipal council of Santiago de Compostela to urge the Spanish Government to ratify the Treaty on the Prohibition of Nuclear Weapons. The Treaty was approved in July of last year at the Negotiation Conference for the Prohibition of Nuclear Weapons and was opened for signature by the states on September 20, within the framework of the United Nations General Assembly. It will enter into force as soon as it has been ratified by a minimum of fifty States. “Each State Party undertakes never under any circumstances to: develop, test, produce, manufacture, otherwise acquire, possess or stockpile nuclear weapons or other nuclear explosive devices, and not to use or threaten to use nuclear weapons or other nuclear explosive devices.” NATO member countries, including Spain, have not yet ratified the TPNW. Rubén Cela, on behalf of the BNG, defended the initiative recalling that the Plenary of Santiago was declared a denuclearised municipality seven years ago at the initiative of the Bloc and adhered to the agreement of the 2006 Xunta de Galicia by which the following was agreed:”the prohibition to place in Galician territory, a nuclear cemetery or storage tanks for nuclear waste, the prohibition of the construction of nuclear power plants in Galicia and the continued support for energy-saving and -efficiency policies, in addition to increasing the use of renewable energies in our energy model”. Francisco Reyes, on the part of the PSOE, announced the support of his group to the proposal “among other things because on June 20, 2017, the socialist parliamentary group in the State Parliament presented a non-law proposal on the support for the EC resolution -L41 of the United Nations and the approval of the Treaty of Prohibition of Nuclear Weapons and therefore, what we are going to do is to maintain our criteria “. He recalled that in the 1970s there were restrictions for the prohibition of biological weapons and they were prohibited; that in the 1990s there was resistance to the banning of chemical weapons and they were banned; that also in the 1990s in some countries there was resistance to the prohibition of anti-personnel mines and they were banned; and that even in our country in 2008 there was some resistance to prohibit the manufacture and trade of cluster munitions and the Congress of Deputies passed a law that prevents both its manufacture and its trade. This has not happened yet with nuclear weapons, but we are convinced that it will be achieved, as was the case with the other prohibitions. 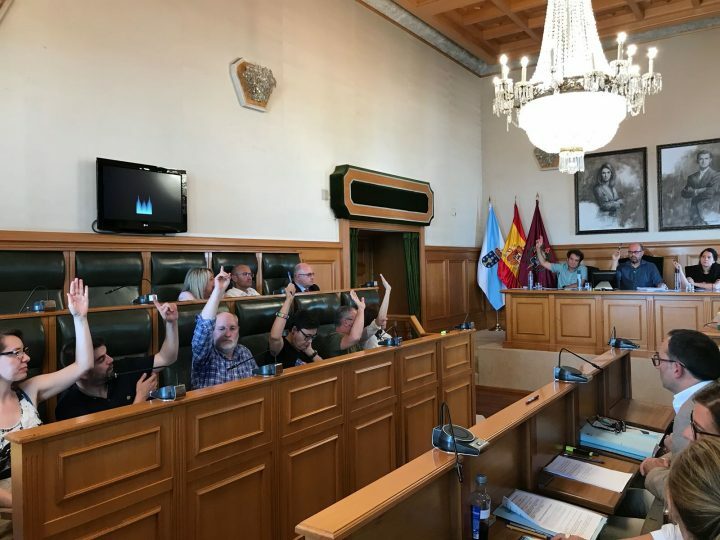 Alejandro Sánchez-Brunete, in the name of the PP (People’s Party), made a joke about the lack of municipal competences in the issue of nuclear weapons, announcing his abstention. Manuel Dios stressed that the motion responds to the request of the Nobel Prize Laureate and proceeded to the vote that approved the motion. Santiago de Compostela thus becomes the first Spanish municipality to carry out this positioning, as Milan did last April in Italy. This action is added to the 92 deputies and senators of the Spanish Congress and Senate who, less than one month ago, also signed their support for the TPNW. In the framework of a global initiative of ICAN for cities to also be involved in the ratification of the TPNW, ICAN’s Executive Director, Beatrice Fihn, who received the Nobel Peace Prize on behalf of the campaign, was recently in Madrid.